How will VAT impact the UAE Real Estate sector? The UAE’s Ministry of Finance (“MOF”) has stated that the UAE will implement VAT on January 1, 2018. The impact of VAT on construction, real estate development, the sale and purchase and the leasing of property will be varied and is likely to be highly complex, creating the need for early awareness, and a government led suite of VAT rules and internal administration to cope with these matters. The MOF has issued some guidance in relation to VAT on residential and commercial property. This article aims to identify some of the key issues that are likely to arise in respect of the Real Estate sector in the UAE. VAT is an indirect tax applied upon the consumption of most goods and services. VAT is charged by VAT-registered businesses which make supplies of goods and services in the course of business. The VAT system is invoice-based. Each seller in the product chain includes a VAT charge on the buyer's invoice. Under a VAT system, all sellers collect the tax and then pay it to the government, while they may also receive a refund from the government on tax that they have paid to suppliers. VAT is ultimately incurred and paid by the end consumer. VAT-registered businesses can also reclaim VAT incurred on goods and services acquired for business purposes (subject to some restrictions) such as the purchase of raw materials and other consumables. Every business which is VAT-registered (or required to be VAT-registered) must record, assess and report its VAT obligations and entitlements to the tax authorities, in accordance with the law. The standard VAT rate for the UAE will be 5%. Companies will be required to maintain VAT records for 5 years. The threshold for mandatory VAT registration will be a taxable supply of AED375,000 and above. This is a relatively low threshold and will mean a high number of businesses are likely to be caught. Businesses with taxable supply greater than AED187,500 but under AED375,000 can register for VAT on a voluntary basis. There will be “Zero Rated” and “Exempt” supply goods and services, however the scope of these are yet to be confirmed. It is widely anticipated that basic food items, essential medicines and some exports of goods will be “Zero Rated”, whilst some healthcare and education services, sale and lease of residential property and domestic public transportation will be “Exempt” supply. “Zero Rated” means that the goods and services are still VAT-taxable but the rate of VAT you must charge your customers is 0%. You still have to record them in your VAT accounts and report them on your VAT return. Suppliers of “Zero Rated” goods/services can still reclaim all their input VAT. “Exempt” supply items do not have VAT on them. Suppliers of Exempt goods cannot reclaim the input VAT. The UAE VAT Law is expected to be issued by mid-2017 with a further series of regulations by late 2017. There will be no tourist VAT refund scheme in the UAE, at least in the first year of enactment of the VAT Law, due to the relatively low rate of VAT. In some jurisdictions, the first sale of residential properties is usually exempt or is “Zero Rated” with subsequent sales being “Exempt Supply” for the purpose of VAT. The UAE will adopt a similar approach, as the Real Estate sector forms a major part of the UAE economy, and this may avoid any negative impact generally. It is generally believed that the sale of commercial property will attract VAT. If so, owners of such property will need to rethink pricing to make it commercially competitive. This is likely to be in addition to the existing Land Department transfer fees. The MOF has recently announced in its VAT public roadshows that leasing of the residential properties will not attract VAT and there are likely to be treated as “Exempt” supply, however VAT will apply on commercial leases. It is therefore possible landlords will seek to pass the VAT on to tenants resulting in an increase in rent or to self fit-out the property (which typically is undertaken by a tenant at its cost) to make it commercially competitive. It remains to be seen how the hotel and serviced apartment sector will be treated, however the general consensus is these will be treated as commercial property. The services of a real estate brokerage are likely to be at standard VAT. 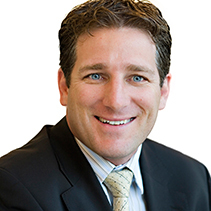 One key consideration for brokerages will be how commission, which is usually shared with an individual real estate agent, will impact on the cashflow of the business. It is unlikely the shared commission will allow for a VAT input refund, meaning the brokerage will need to either bear the VAT in whole (including the parts paid to the agent) or make administrative changes to not only cater for VAT registration and compliance but also how commission is shared. The biggest concern in the construction sector is likely to be that construction contracts tend to continue for a number of years and therefore, previously signed construction contracts may not have catered for the implementation of VAT, leading to the inevitable question as to who bears the burden of VAT. It is possible that the UAE Government may enact a “grandfathering process” allowing previously signed contracts to be carried out without conformity to the new VAT regime. In addition, for any subcontractor that is not VAT-registered (due to being below the minimum threshold), the main contractor is unlikely to recover VAT incurred on costs. This will mean the main contractor will need to restructure to cater for non-recoverable VAT costs (or possibly reconsider its tender process to only include VAT-registered subcontractors) or the need for subcontractors to voluntarily register for VAT in order to become commercially competitive. The VAT treatment of real estate will differ between the sale of undeveloped property, developed commercial property and residential property. Bare land is usually treated as an “Exempt” supply, irrespective of the land use. It is possible that VAT recovery for residential development might be blocked, as are business inputs into the leasing of residential properties. Where the sale or lease of residential property is “Exempt” for VAT, it could hit the pocket of the landlord/developer. 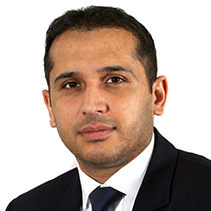 Real Estate developers should also consider the complexities arising from mixed developments involving commercial and residential leasing and the need to apportion VAT recovery. Whilst liability to pay VAT cannot ultimately be avoided, there are ways in which, with some forethought and planning, UAE real estate businesses can restructure or pass the cost of VAT either up or down the supply chain, so that the financial burden can be mitigated. 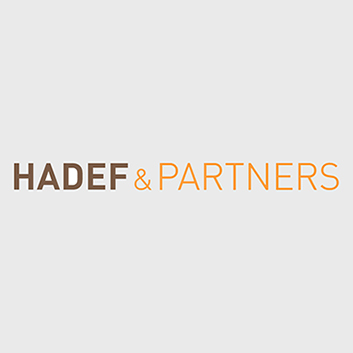 Hadef & Partners is a full service business law firm with 35 years’ experience in helping our clients navigate the legal waters of doing business in the UAE. Please contact Ashraf Sayed or Michael Lunjevich for tailored advice for your business on the UAE’s new VAT regime.